How Do I Talk to Customers? Do you talk to customers on a regular basis? Does your startup have a customer development strategy? Do you have a method to receive consistent feedback from your customers? When you talk to customers, it is important to be genuine. Act like a human and don’t give them generic, canned responses in order to set your company apart. So don’t be a robot. Treat each customer’s unique questions, concerns, and complaints with empathy and adapt your communication style accordingly. Before you talk to customers, make a plan – don’t just wing it. You will want to do this to make sure that you are getting the most out of every conversation and to ensure that you are consistently able to repeat the delivery of your discussion. Make a script. Do your research. Know what questions you want to ask and what topics you want to cover. However, remember that you don’t always have to follow your plan to a T. Things change in the moment and you should adapt your discussion accordingly, but it never hurts to have a plan. It is important to also prepare yourself to hear things you don’t want to hear. This is where change and growth happens – yes, it is uncomfortable, but it is necessary if you want to continue your company’s success. 3. Choose Your Questions Wisely. This goes hand-in-hand with preparing to talk to customers. Choosing the right questions can make all the difference between a good conversation with a customer and a bad one. How do you currently get this done? What could be better about how you do this? When it is time to talk to customers, it is not the time to sell your product or pitch your idea to them. It is time to listen to their wants, needs, concerns, and complaints. The purpose of conducting an interview with a customer is to validate your ideas and learn about your customer. You are looking for answers and knowledge. These people are already your customers – you don’t need to sell them anything else. 5. Talk To One Customer At A Time. It may be more efficient time-wise to conduct a focus group or group interview with your customers, but it is more useful to have multiple one-on-one conversations with your customers. In doing this, you will create more meaningful connections with customers and get more honest and in-depth answers from them. Don’t be a afraid of silence, either – embrace it. People are naturally inclined to fill the silence, so let your customer do it. If you give your customers 20-30 seconds after they finish speaking, it will give them time to think more, add on, or broach a new topic. It is helpful to take detailed notes or record each session in order to use the information you gather later on. After You Talk to Customers . . . The easy part is over. Now it’s time to distill the information you collected into a neat, useful package to be used in product development. Look for patterns and use your judgement when you’re reviewing what you’ve learned. Check out this useful guide for organizing and analyzing your notes once you’ve finished talking to customers! Remember, developing your customer base is meant to help you figure out what customers really want – it isn’t just about doing whatever they say, so read between the lines. What is a lean startup? How do you talk to customers without sounding like a robot? How can I build the best team possible? What are the best ways to pitch to investors? Here at RIC Centre, we know that building a startup can be difficult. 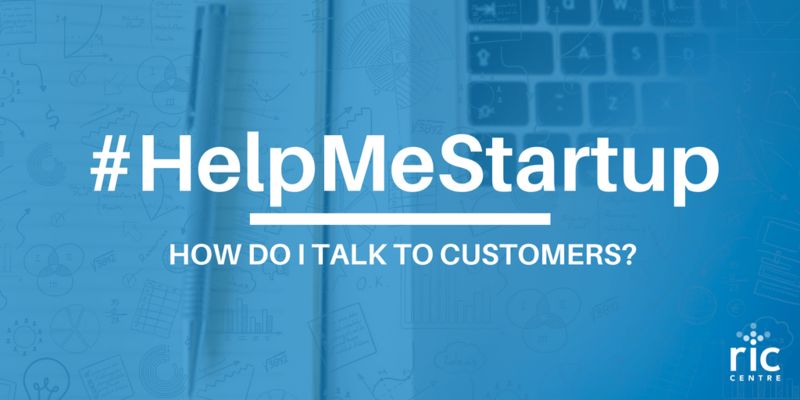 Over the next 3 months, we will be sharing a 12-part series on our blog called #HelpMeStartup designed to clear up some common confusions among first-time startup entrepreneurs. Are you in the process of customer validation? See how RIC Centre can help by checking out our services for pre-revenue startups. If you’re interested, don’t forget to register as a RIC Centre client to get access to all our tech-startup focused programming and resources! 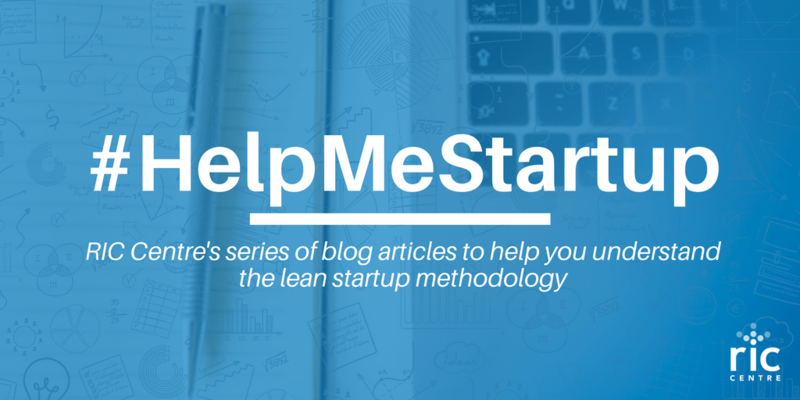 Check out the first post here on Building a Lean Startup in 3 Steps, and our second post on Building a Value Proposition in 3 Steps.